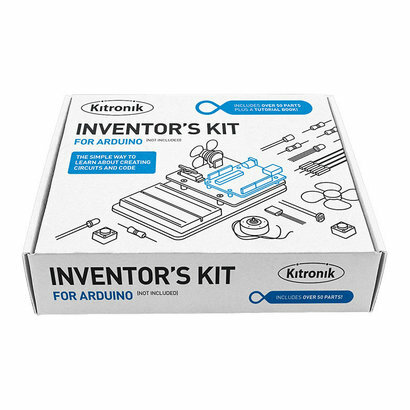 The Kitronik Inventor's Kit for Arduino is a great way to get started with programming and hardware interaction with the Arduino. This Inventor's Kit contains everything you need to complete 10 experiments including using LEDs, motors, LDRs and capacitors. 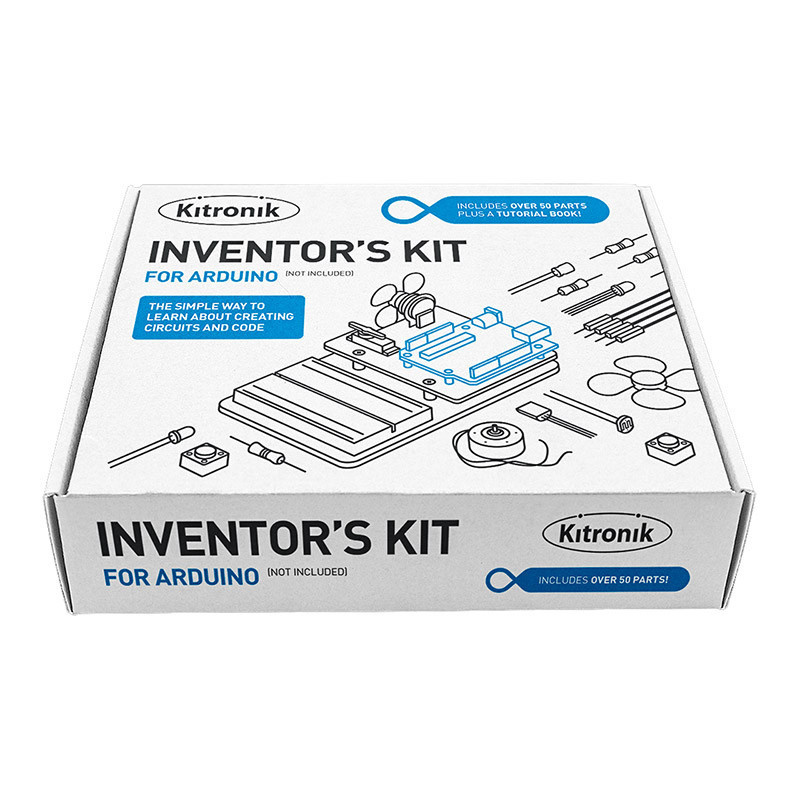 Arduino is an open-source code-able electronics platform, which has been designed for anyone making interactive projects. Arduino board can process inputs from many sensors, and also control outputs such as LEDs and motors. The Arduino is controlled by the code with which it is programmed. This code is written in the Arduino programming language, using the Arduino development environment. Once complete the code is easily transfered to the Arduino board using a simple USB lead. To get you off to a flying start, we have included an easy to follow tutorial book which guides you through creating the 10 experiments. You don't need any experience with programming as the tutorial book will guide you every step of the way. You'll be programming and creating circuits in no time! 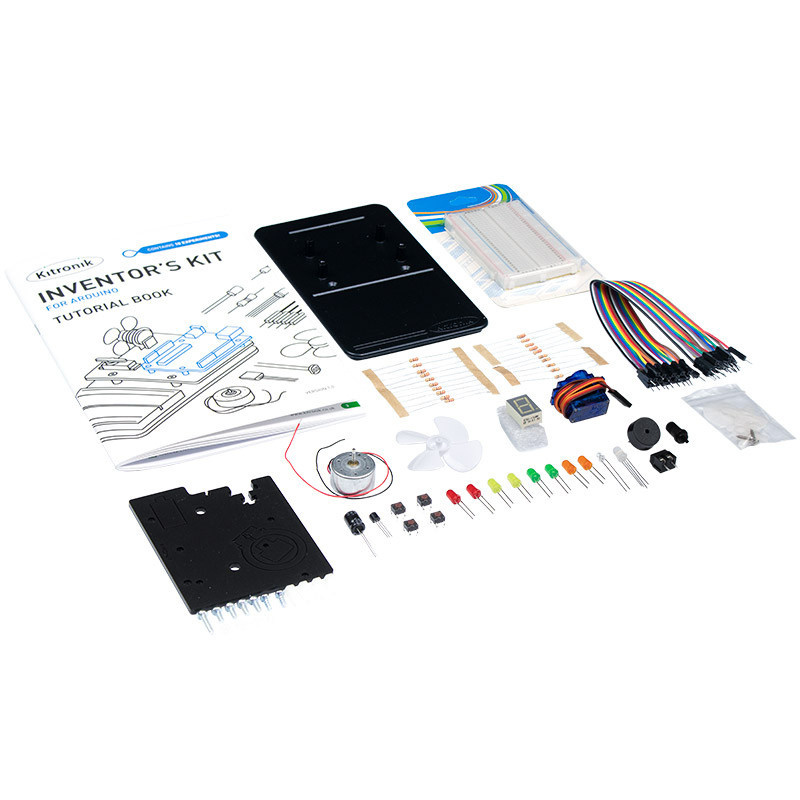 This kit does not include an Arduino UNO. 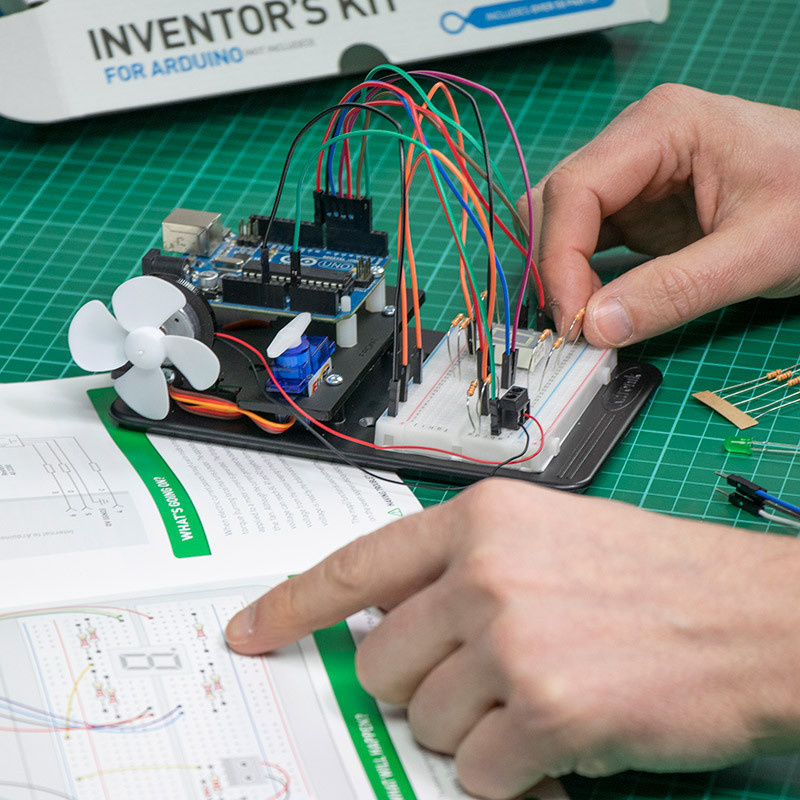 No soldering is required and you can build your first circuit in minutes! 1 x 7 Segment Display. 1 x Potentiometer - Vertical Type (finger adjust) 100K. 1 x Finger Adjust Spindle. 4 x Plastic Spacer 10mm. 1 x Small Prototype Breadboard. 2 x Red 5mm LED. 2 x Orange 5mm LED. 2 x Yellow 5mm LED. 2 x Green 5mm LED. 1 x RGB 5mm LED. 20 x Male to Male Jumper Wires. 1 x 470uF Electrolytic Capacitor. 1 x Piezo Element Buzzer. 4 x Pan Head M3 Machine Screw.